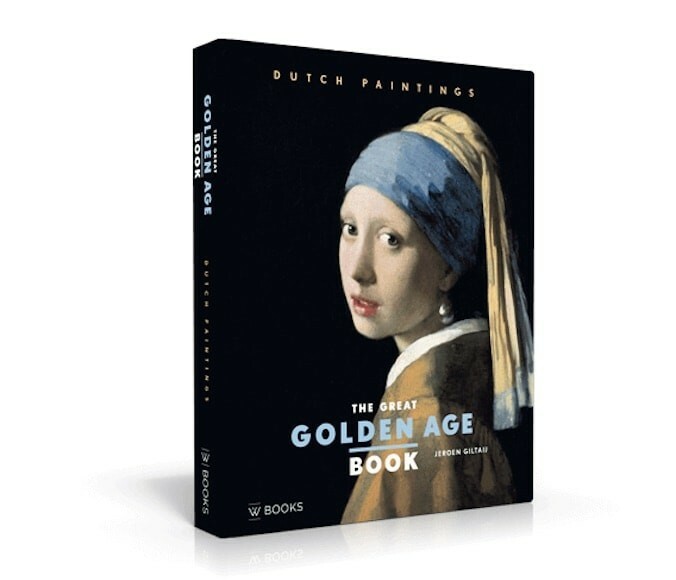 More than 350 Dutch paintings and a description of their painters are presented in beautiful pictures in The Great Golden Age Book. Jeroen Giltaij, former head curator of Museum Boijmans Van Beuningen, collected paintings from collections of Dutch museums and put them together in The Great Golden Age Book. Different genres like landscapes, portraits, still lives, sea sights, church interiors, and titbits of daily life were all represented in paintings. Jeroen Giltaij, former head curator of Museum Boijmans Van Beuningen, collected paintings from collections of Dutch museums and put them together in The Great Golden Age Book. It truly is wonderful to go through the pages of this large book with the rich Dutch painting history of the golden age. Between 1600 and 1700, painting was all the fashion in the Netherlands. Different genres like landscapes, portraits, still lives, sea sights, church interiors, and titbits of daily live were all represented in paintings. Druing the Gold Age, painting in the Netherlands was all the fashion and it continued to grow. Master paintings were created, some that are still exhibited today in museums around the world. In 'The Great Golden Age Book', 220 painters and their works are discussed. Painters, due to their creativity and unique style, were important influencers of the Golden Age. Of course, you can find famous painters like Rembrandt, Johannes Vermeer, and Frans Hals in here. But also paintings and descriptions of less known artists are represented in this book. Special aspects of the art of painting are explained, like art theory, iconography, and the making of art. The register order by the name of the artist and an extensive literature list turn this book into a handy reference work and an incentive for future research. The great Golden Age Book has a hard cover, contains 384 pages, and is about 32 x25 x3,9 cm (l x w x d) in size. The texts are in English, so it's a great book for an international audience.